Tarpley has hit a new low. Over half a million Americans (many of them veterans) are homeless on any given night, and tens of millions live below the poverty line. Our infrastructure is crumbling, and the retail apocalypse continues to wreak havoc on towns and communities all across the country. So when Tarpley called for the U.S. to finance a "$30 billion Marshall Plan" in his latest edition of World Crisis Radio, he was talking about a plan for America, right? I'm not joking. Look it up. Tarpley is so deep in the anti-Trump/pro-Democratic Party Kool-Aid -- and consequently so detached from reality -- he actually thinks that this is the sort of proposal that will endear him to millions of poor and working-class Americans, and make them want to rally to his cause. Is it time to break out the straight-jacket yet? Tarp is now Lunatic Fringe. 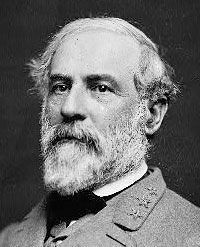 When I heard him peddle the aforementioned Marshall Plan, after shouting a few expletives, my response was: "And we all know that the landed aristocrats in Central America -- and the corrupt politicians who dutifully serve them, and who created that socioeconomic mess in the first place -- won't use any of that $30 billion handout to line their own pockets, don't we Webster!?" And when it inevitably comes out that Central American politicians did with that U.S.-supplied money what the Clintons did with billions in Haitian relief money, what are the American people supposed to do -- vote them out of office? Or is that another annoying question that "Dr." Tarpley would rather we not ask in the first place, lest the utter absurdity of his proposal be seen for what it is? RBF founding trustee Nelson Rockefeller (left) in Latin America with the American International Association for Economic and Social Development in 1958. Photo courtesy of the Rockefeller Archive Center. We marked the Rockefeller Brothers Fund?s 75th anniversary last year and continue to reflect on common themes from our history through a series of essays. The Rockefeller family?s interests in education, conservation, health, humanitarian concerns, and the arts have drawn it to international philanthropy for well over 100 years. Over the course of the Fund?s 75 year history, it has supported work around the globe, often focused on creating social change in diverse contexts. In 1943 the Rockefeller Foundation formed the Office of Special Studies, a cooperative effort with the Mexican Department of Agriculture to increase production of basic food crops. As a result, the RF and Mexican government agencies and universities sponsored dozens of joint projects that stressed inter-American agricultural cooperation including maize, wheat, and rice crop improvement programs. Nelson A. Rockefeller established the American International Association for Economic and Social Development (AIA) and the International Basic Economy Corporation (IBEC) in 1946 and 1947, respectively, as privately financed international development enterprises. One of AIA's objectives was "To help raise the nutritional levels of the people through the modernization of agricultural production and the dissemination of knowledge concerning the storage and housing of such products." IBEC was a for-profit business that focused on improving the economies of underdeveloped countries. Both were most active in Brazil and Venezuela. The David Rockefeller Center for Latin American Studies (DRCLAS) at Harvard University works to increase knowledge of the cultures, economies, histories, environment and contemporary affairs of Latin America; to foster cooperation and understanding among the peoples of the Americas; and to contribute to democracy, social progress and sustainable development throughout the hemisphere. When Mexico nationalized U.S. oil companies in 1939, Rockefeller was sent as a personal negotiator for Standard Oil (New Jersey). His conversations with President Cardenas con-vinced him of the necessity for good public relations if U.S. companies were to hold on to their foreign wealth. Mexican entrepreneur and philanthropist Carlos Slim HelÃº has been elected to the RAND Corporation Board of Trustees, RAND President and CEO James A. Thomson announced today. Slim joined the nonprofit research institutions Board of Trustees at its November 2008 meeting. Carlos himself didnâ€™t start out poor. His Lebanese-immigrant family (original surname Salim) became rich buying up Mexico City properties after the Mexican Revolution. On a serious note, the event underlines the fact that big business in Latin America is still largely dominated by family groups. The Institute for International Finance said in a report released last week on corporate governance in Mexico that "after Greece and Colombia, Mexico by some estimates has the third-highest ownership concentration level in the world." This ownership structure, the report contends, has slowed the implementation of reforms that would benefit minority shareholders. Billionaire attendees: Joseph Safra of Brazil, Gustavo Cisneros of Venezuela, Lorenzo Zambrano of Mexico, Alberto Bailleres of Mexico. Billionaires invited whose attendance was not confirmed: Luis Carlos Sarmiento of Colombia and AndrÃ³nico Luksic of Chile. Former-billionaire attendees: Carlos Miguens Bemberg of Argentina, JoÃ£o Roberto Marinho of Brazil, Marcelo Odebrecht of Brazil, Julio Mario Santo Domingo of Colombia, Carlos Ardila Gaviria of Colombia, Alvaro Noboa of Ecuador, Antonio Cossio of Mexico, Lorenzo Servitje of Mexico, and Emilio AzcÃ¡rraga of Mexico. a lost cause at this point ... throwing good money after bad. 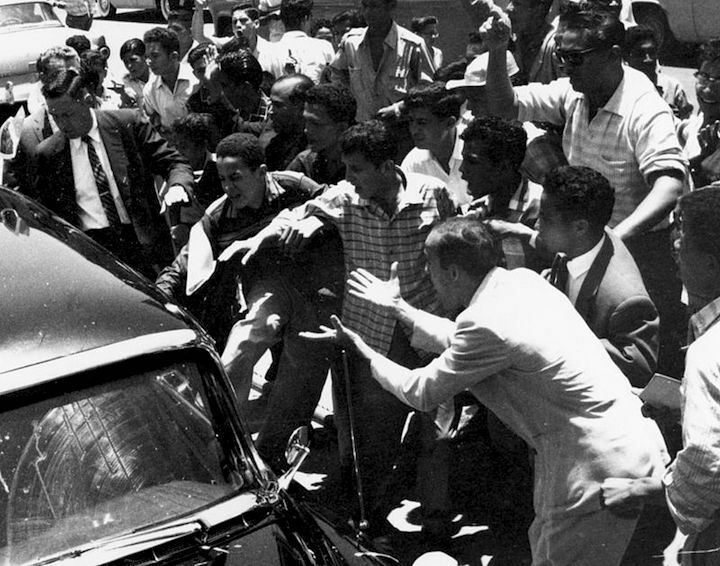 A serious attack on Richard Nixon's motorcade occurred in Caracas, Venezuela, during his 1958 goodwill tour of South America, undertaken while Nixon was Vice President of the United States. 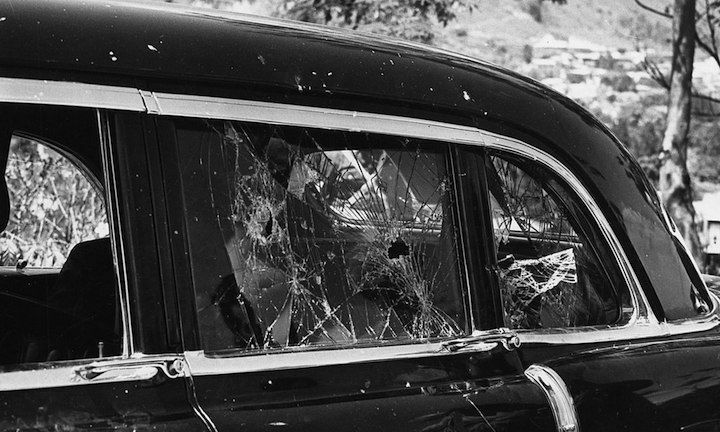 The attack on Nixon's car was called, at the time, the "most violent attack ever perpetrated on a high American official while on foreign soil". Close to being killed while a couple of his aides were injured in the melee, Nixon ended up unharmed and his entourage managed to reach the U.S. embassy. The incident was possibly orchestrated by the Communist Party of Venezuela, while police and military forces were conspicuously absent to avoid provoking the Communists. U.S. Navy Admiral Arleigh Burke mobilized fleet and Marine units to the region, compelling the Venezuelan government to provide full protection to Nixon for the remainder of the trip. The attack was denounced by all major Venezuelan presidential candidates standing in that year's election, except for the incumbent leader Admiral Wolfgang Larraz?bal. Nixon was generally applauded in American press reports for his calm and adept handling of the incident and was feted with a "hero's welcome" on his return to the United States. His recollections of the attack form one of the "six crises" in his eponymous book. The attack has been credited with awakening U.S. officials to a growing tide of anti-Americanism in the western hemisphere, but of also deeply affecting Nixon on a personal level, shaping his perception of Latin America as a region prone to "violence and irrationality".